There is an unspoken secret out there, unspoken by anyone but the people who weren’t ever fooled by anti-Clinton propagandists. Unless you are a Bernie supporter who is treading in or dangerously close to a David Koresh/Jim Jones level of true belief and are willing to take that glass of poison Kool Aid from Bernie’s gnarly hand then you know the secret. You know it and you do nothing to reveal that you know it. Because of this you silently sell out your country every day even while marching, holding voter drives and resisting with every breath in your body. Keeping it safe, keeping it secret means you acknowledge that Trump stole the election while fighting for the resistance and at the same time deny that Hillary Clinton was the victim of it. Some very calculated unconscious mental gymnastics. Why? Maybe you supported Bernie but voted for Hillary via the lesser evil route. Maybe you are complicit, you didn’t vote, voted 3rd party or wrote Sanders in. You don’t have to face your complicity if Hillary is to blame and just goes quietly away. Much like the media it’s much more comfortable for you if Hillary is to blame. If you are a Bernie Sanders supporter Hillary must be to blame and indeed must never be seen as a victim. With Hillary in the picture or in the White House there is no revolution and there is no Bernie 2020. Had Hillary Clinton been at the first Women’s March she would have stood before millions as it’s leader. Her shocked followers would have been energized to fight for her and to demand justice. But that didn’t happen because the women who organized the march were supplanted by rabid Bernistas under the guise of diversity. Since 92% of black women voted for Hillary it’s hard to imagine that the march would not have been diverse without these particular women being at it’s head. Women who would refuse not just to invite Hillary but who left her off a list of honored people that included such luminaries as Nina Turner, refused even to allow her famous womens’s rights are human rights quote to be acknowledged as hers. These same women months later would attempt to bring Bernie Sanders to a women’s convention as a speaker. 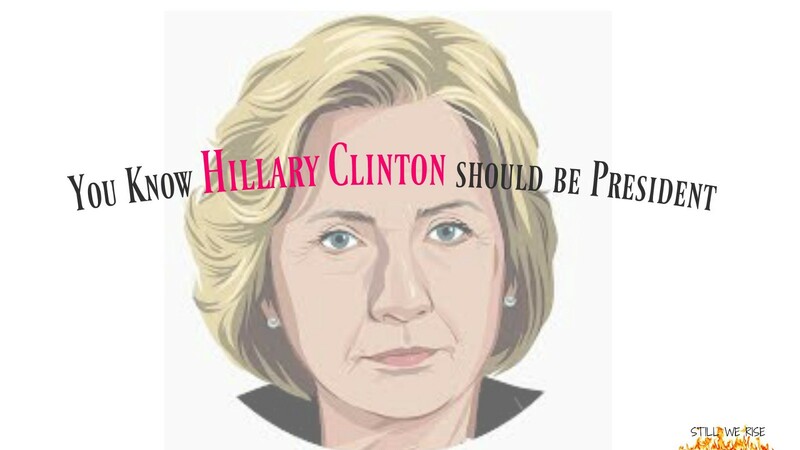 By then the shock and horror of the election results had passed enough for Hillary supporters to quash this idea. But back to that quietly kept secret. For whatever reason you don’t like Hillary Clinton. You also don’t like Russians manipulating our elections or what Donald Trump is doing to our country. So you didn’t demand that the voting machines be examined or that the electoral college vote be postponed until a thorough investigation could be held. You didn’t march or write congress and demand justice for Hillary Clinton. You didn’t ask yourself if your reaction would have differed if the same circumstances had befallen Barack Obama or Joe Biden or Bernie Sanders? You just decided to put all your effort into the 2018 elections in spite of the damage Trump will do before then. You did this knowing that putting the rightful winner into office now would stop the bleeding now not in 4 or 8 years. You did it because it’s Hillary Clinton and you don’t like her. Everyday you tell Republicans in Congress that they are selling out their country by supporting Trump in the face of his crimes and every day you sell out your country by refusing to support the true President. Sure, I know, the Constitution doesn’t have a way to change the election but I’m pretty sure the people that wrote it, the people who put their lives on the line to give us this system would find a way to think outside the box in the face of Donald Trump and this Republican party. They would see that we are at a defining moment in our history and that if we allow this injustice to stand because it’s Hillary that there will be no country left when we get to 2018 or 2020. You know Hillary Clinton won that election. If you can’t fight for her because it’s the right thing to do then we are lost.